The continuing fall in development costs and government backing will make it happen. With the ongoing economic growth of the United Arab Emirates, energy demand in the UAE continues to rise. The new hub aims to support Abu Dhabi’s efforts to achieve its ambitions for solar energy development through solar photovoltaic, solar thermal and thermal energy storage technologies. 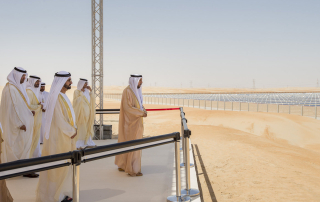 UAE now ranks only behind Spain and the United States in total concentrated solar power generation, India and China round out the world’s top five. The Secretary General of the United Nations, Ban Ki-moon, visited Masdar’s Shams 1 concentrated solar power plant today – the 100-megawatt plant is largest renewable energy project in the Middle East. 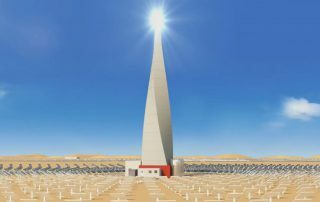 As part of the summit, AREVA will notably present its concentrated solar power (CSP) technology which has been enhanced through competitive storage solutions. 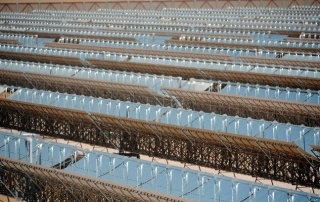 In March, Masdar inaugurated the 100 megawatt Shams 1, the world's largest concentrated solar thermal power plant. 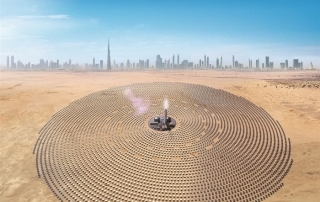 Powering 20,000 homes in the UAE, Shams 1 is the region's largest renewable energy plant.